Spoon pudding into center of small bowl. 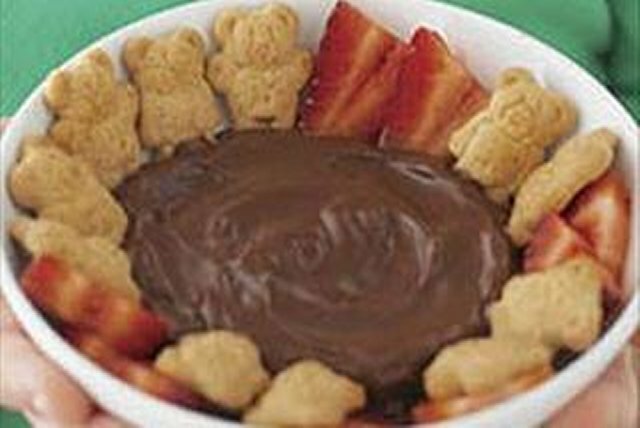 Arrange graham snacks and strawberries around sides of bowl. Dip graham snacks and strawberries into pudding to eat. Substitute JELL-O Chocolate Vanilla Swirl Pudding Snack for Chocolate Flavor.